Trial of the Animal Robot Class game during the 22nd KONDO CUP Robot Soccer Game KHR Class took place at ROBOSPOT in Akihabara on Oct 2nd, 2010. KONDO CUP, Robot Soccer Game started on June 5th, 2006. Almost every 2 month, KONDO Co. Ltd. held the games at ROBOSPOT. There are two class, one is KHR Class which KHR-series robot such as KHR-1, 1HV, 2HV, 3HV can attend the games. KHR robots changed 4 and less than 4 high-torque servos such as KRS-4013HV, KRS-4014HV, KRS-2350HV also attend the KHR Class game. The other class, Open Class in which robots using just KONDO servo motor can attend the game and the number of high-torque servo is not limited. The first half time of the game is 5 minutes, the break time 1 min and the second half is 5 mins. One team is consisted with 3 or 4 robots. Just 3 robots can play soccer in the field. The soccer field of open class is larger than that of KHR class. 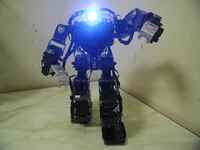 The regulation of robot body and rules of soccer are described in the KONDO’ s web site. Demonstration soccer game of animal robots, KONDO CUP Animal Class game took place for the first time. 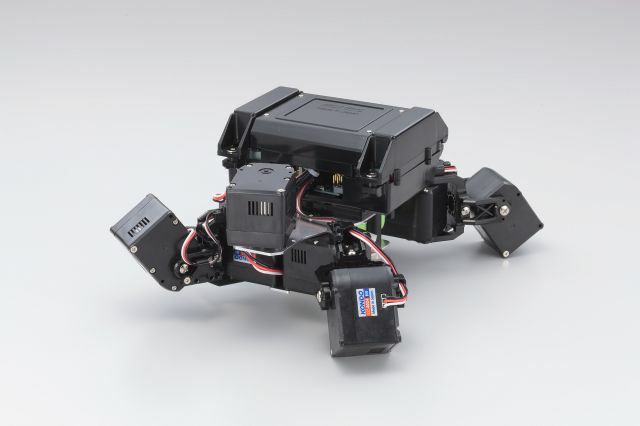 Six turtle model robots, New KONDO 4-Legged Robot put on the market in July, 2010 joined the game. Two of six robots with KCB-3WL, a new lan board were controled through the camera on the robot. 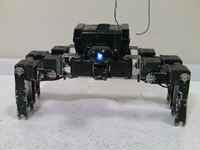 KONDO Co. Ltd. announced a plan of Animal Class Robot Soccer in the end of this year.